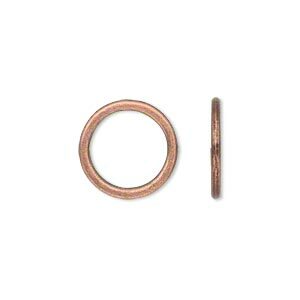 Component, antique copper-plated "pewter" (zinc-based alloy), 15mm round donut. Sold per pkg of 500. Item Number: H20-1856BB Have a question about this item? 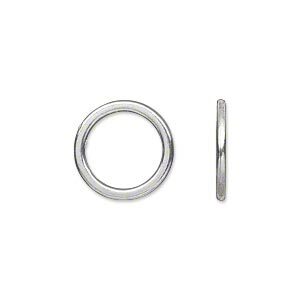 Well-crafted loop components with an antique copper plating are made from "pewter" (zinc-based alloy) making them lightweight, durable and economically priced. Versatile jewelry-making supply for earrings, pendants, belts and home décor. 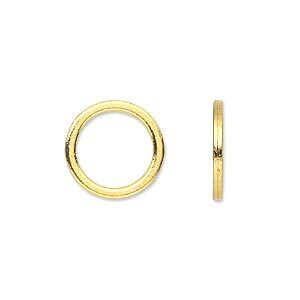 Hole size measures 11.5mm. 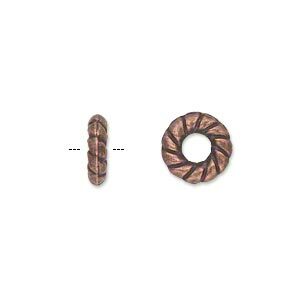 Component, antique copper-plated "pewter" (zinc-based alloy), 15mm round donut. Sold per pkg of 50. Component, antique copper-plated "pewter" (zinc-based alloy), 20mm double-sided round donut with twisted rope design. Sold per pkg of 20. 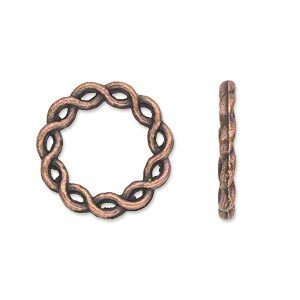 Component, antique copper-plated "pewter" (zinc-based alloy), 10mm double-sided round donut with twisted rope design. Sold per pkg of 50. Component, gold-finished "pewter" (zinc-based alloy), 14mm round donut. Sold per pkg of 50. 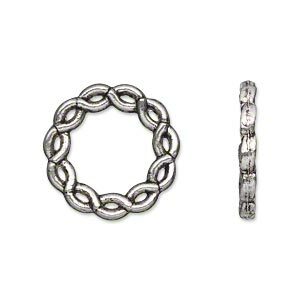 Component, antique silver-plated "pewter" (zinc-based alloy), 20mm double-sided round donut with twisted rope design. Sold per pkg of 20. 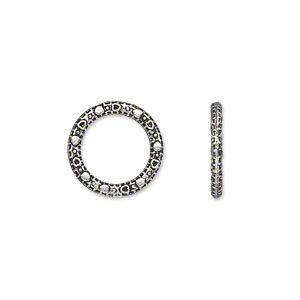 Component, antique silver-plated "pewter" (zinc-based alloy), 14mm double-sided round donut. Sold per pkg of 50. 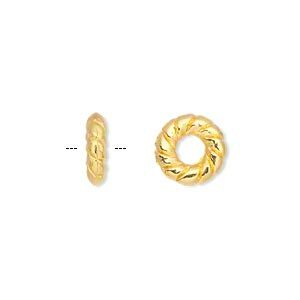 Component, gold-finished "pewter" (zinc-based alloy), 20mm double-sided donut with twisted rope design. Sold per pkg of 20. 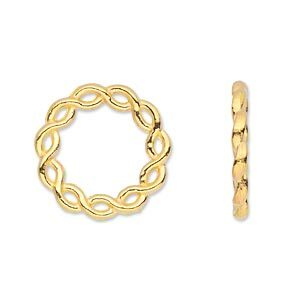 Component, gold-finished "pewter" (zinc-based alloy), 10mm double-sided donut with twisted rope design. Sold per pkg of 50.